Its not easy being Bruce Wayne, managing Wayne Enterprises during the day and being Batman at the night, always ready to take on whatever that may come to protect Gotham city. Though being a billionaire has it own perks - fast cars, mansion, penthouse apartment and a lot more, but greater than those perks are the responsibilities he upholds by being the protector of justice. Batman uses his intellect, physical prowess, high-tech vehicles and gadgets to defeat his opponents. 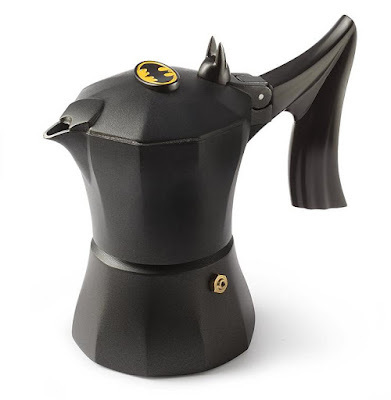 For you to get the feel of the power, and to be inspired, we have the Best Batman Themed Products. Batman Projection Flashlight: Its Gordon who uses Bat-Signal - a searchlight with a bat-shaped insignia over the lens that projects the Batman symbol in the sky to call Batman. 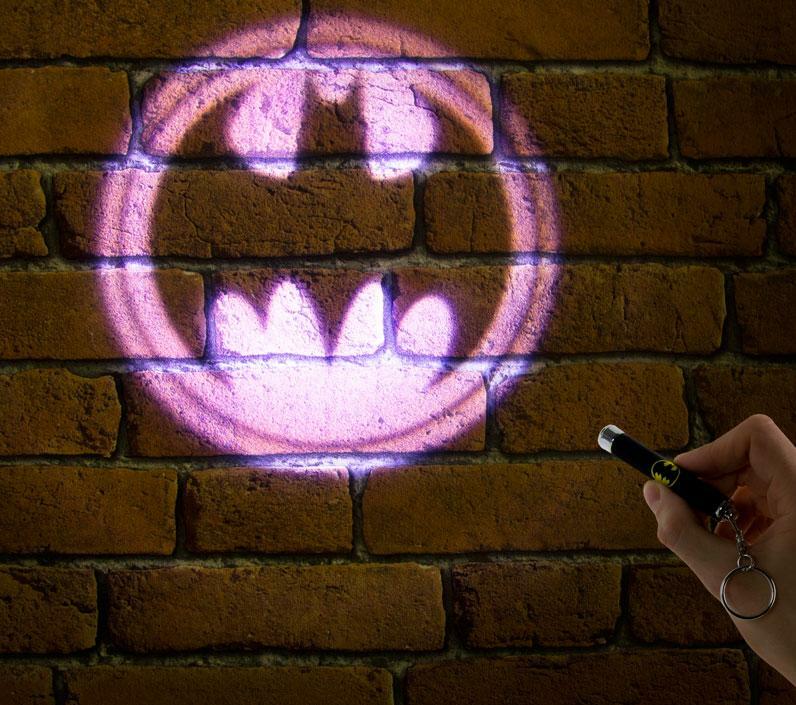 Use this cool Batman Projection Flashlight as Bat-Signal. So next time you are in a situation, use this mini Bat-Signal to call Batman. 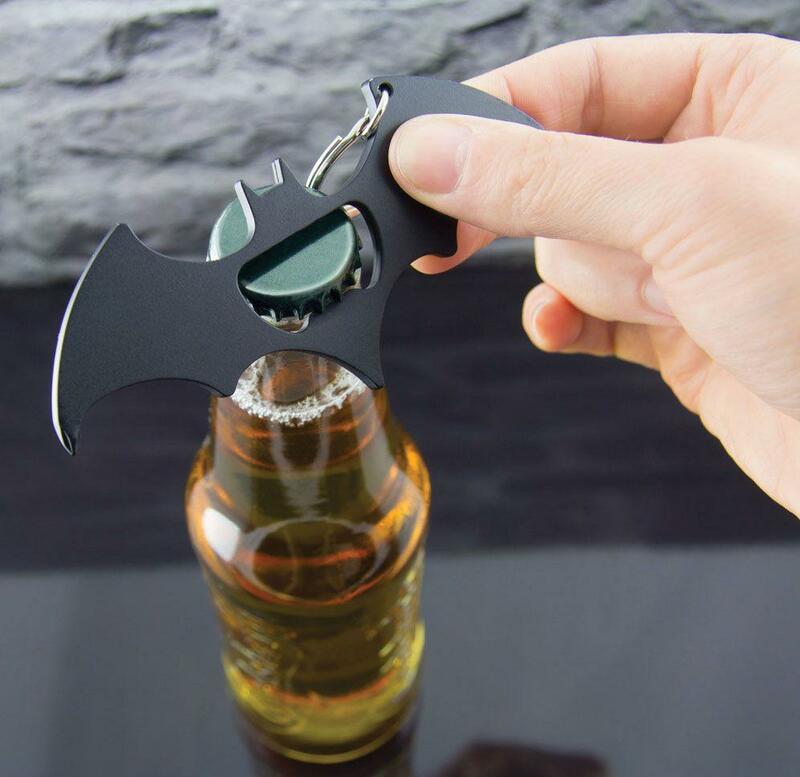 The Batman Projection Flashlight projects Batman symbol which can be seen clearly when directed at flat surfaces, and it comes with a keyring attachment for your ring. On second thought, if you don't stay in Gotham then make sure you dress up your trustable friend in Batman costume and ask him to be nearby and come the moment you project the Bat symbol. Buy Now. 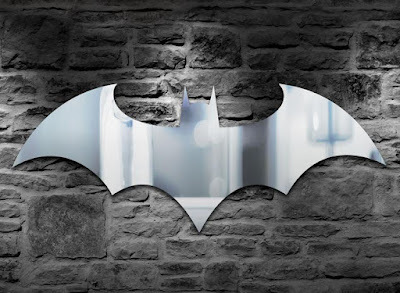 Batman Mirror: When you look into the mirror, what do you see? It's a million dollar question and surely the answer varies from person to person. But one thing is for sure, this Batman Mirror is sure to remind you that even though Batman has no superpowers, he uses his intellect, gadgets, and physical prowess to defeat his opponents. So next time you see in this mirror, we are sure its going to inspire you to do your best and come out victorious. Buy Now. 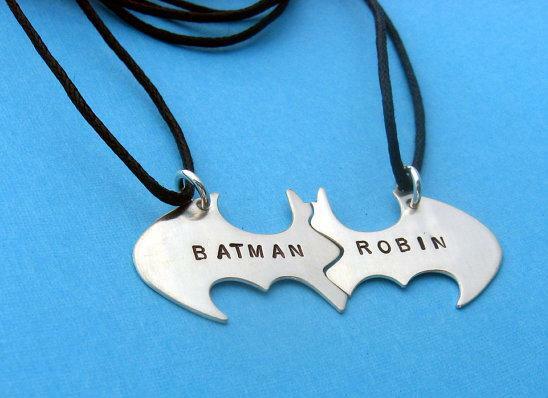 Batman Best Friend Necklaces: Batman and Robin together form a formidable team of the Dynamic Duo. These two are there for each other in whatever situation that might be. 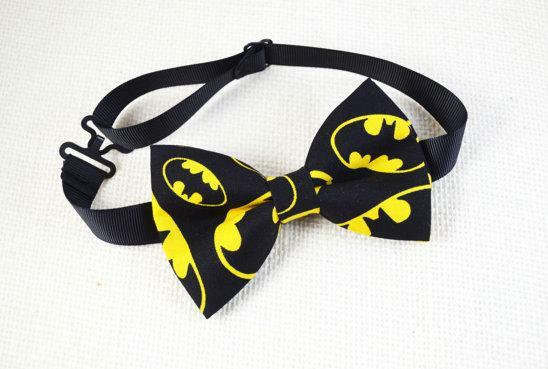 We have this cool Batman Best Friend Necklaces that when joined together forms the Bat Symbol. And if you have someone who completes you or on whom you can depend on, then its perfect to get these necklaces customized with your names or whatever you think suits you. Buy Now. Batman Shelf: We have come across many shelves for more than 10 years with over 3,500 posts as an active full time bloggers, but the Batman Shelf speaks for itself and we need not say a thing about it. 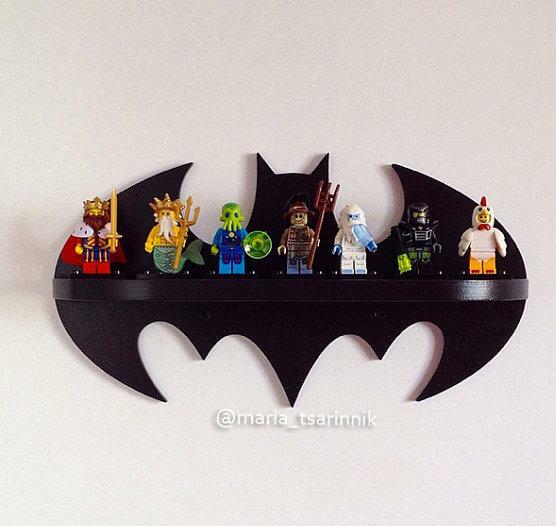 On the second thought, just want to say that the Batman Shelf shadows the rest of the shelves. Buy Now. Batman Tie Clip: You don't need to be a kid to have Batman merchandise, now with this cool Batman Tie Clip you can wear the Bat symbol officially anywhere you want. 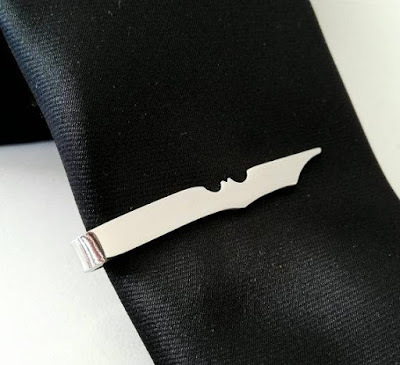 It's made with stainless steel and goes perfect with narrow ties. Buy Now. 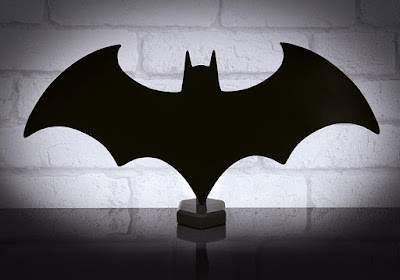 Batman Light: Though Batman works in the night, Bruce Wayne has no super powers and can't get around in the dark like a real bat; so he needs a light in his Batcave to illuminate the surroundings and what can be better than Bat Light? So if you want to create a feel of Batcave right in your home, then you're surely going to need a Bat Light. Its USB powered, just plug it into your laptop and it gives out light. Buy Now. Batman Fidget Spinner: What's going on with the Fidget Spinner, we fail to understand and why are people so getting used to it? If you can, then please reason with us. and try to make sense. Well when the world is going gaga with the Fidget Spinner, then how can the Bat be left out? 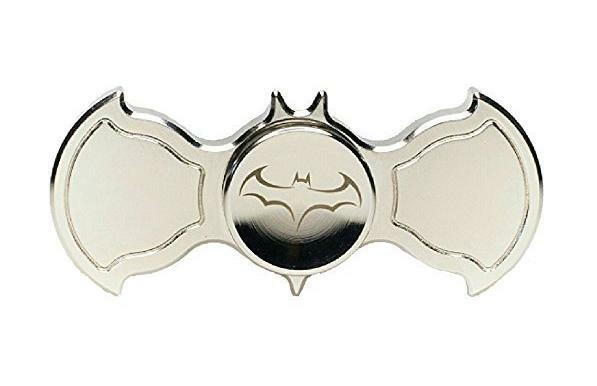 Well the Batman Fidget Spinner is an electroplated silver brass Fidget spinner that has a shiny look and provides a smooth, functional, silent, and long lasting spin. It has a solid brass body, silent steel bearing that allows it to achieve spin times anywhere from 2-5 minutes. Buy Now. 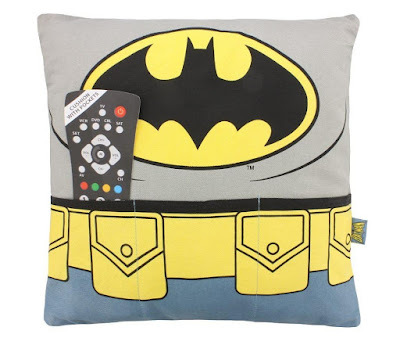 Batman Costume Cushion: The Batman Costume Cushion comes printed with Batman Costume that includes utility belt minus the gizmos. Certainly you wont be able to use the utility belt like the Batman does; though you get three pockets, which you can use it for your TV remote, smartphone or however you find it comfortable. It measures approx 15 x 15 inches and is washable. Buy Now. Batman Keyrack: Keys whether of your car or your home is the most commonly misplaced thing in your home. When you are already late for your office, school, meeting or college, then you don't find your keys. 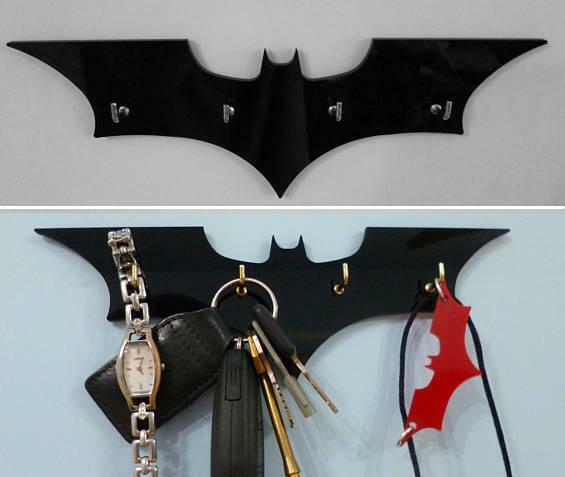 Now with this cool Batman Keyrack, you can organize your keys. It measures W 20 cm x H 7 cm, can be fixed or you can stick it to your wall and has 4 cm space between the hooks so your keys have some play space. Buy Now. Batman Bowtie: The Batman Bowtie is made of black color cloth with yellow Batman symbols on it, a sure thing to refresh your suit or shirt. On second thought, you are surely going to look like an Emissary of Batman and hope Joker doesn't spot you. Buy Now. 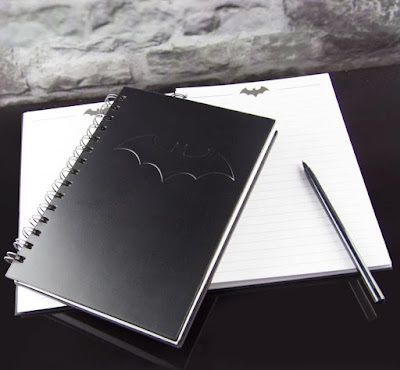 Batman Notebook: The Batman Notebook is an A5 hardback, 200 page, spiral bound notebook, comes with embossed front cover; use it to take notes or write your adventures, its your call. Buy Now. 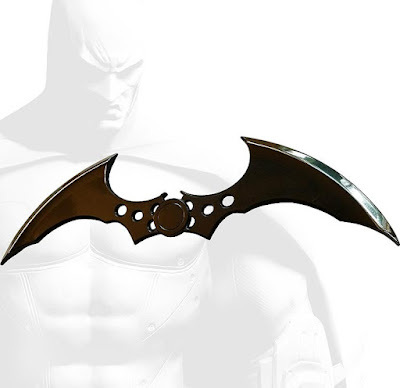 Batman Batarang Letter Opener: Now open your letters in style with this Batman Batarang Letter Opener. Buy Now. 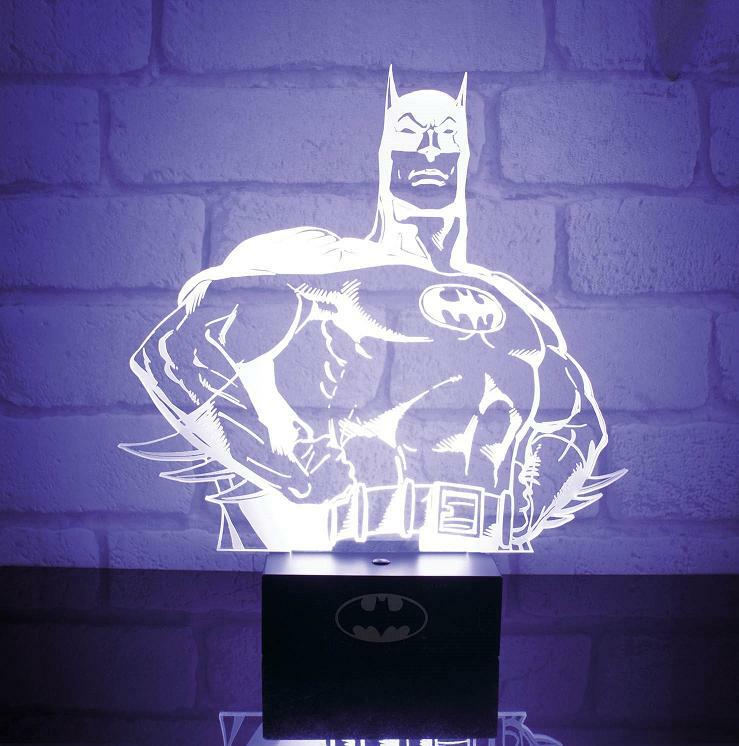 Batman Hero Light: Now Batman is there to light up your way. This cool Batman moodlight comes with a dual powered light base, and creates a brilliant Batman image. Buy Now. 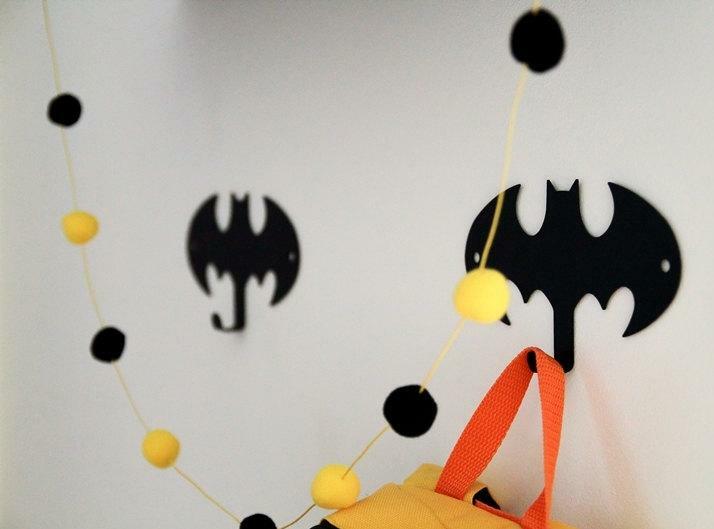 Batman Wall Hangers: These cool Batman Wall Hangers are surely going to decorate and organize space in your kid's room. Buy Now. 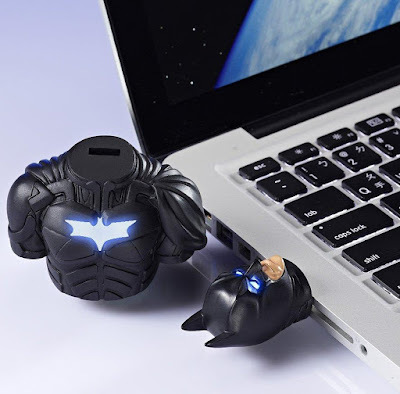 Batman USB Pendrive: Now we have Batman to support you with your data transfers. This cool Batman Figure built-in USB comes with 16GB storage, a USB cable for direct saving/reading of information, and measures 3.2" x 4.2" x 2" and weighs 12 oz. Its head can be taken off from the body, and its eyes glow blue when it is connected to USB port. The Batman symbol lights-up if the USB port under the base of the drive is connected to notebook or other USB device. Buy Now. 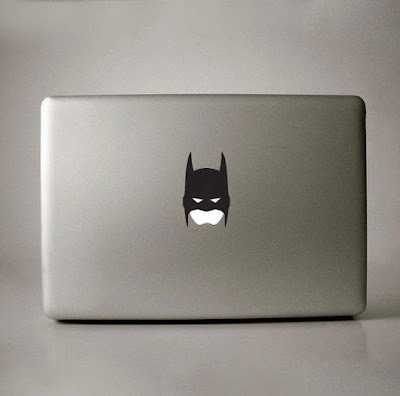 Batman Apple Decal: Now you can leave your Macbooks, iPhones, and iPads under the watchful eyes of the Batman. These decals are available for Macbooks, iPhones, and iPads. Buy Now. 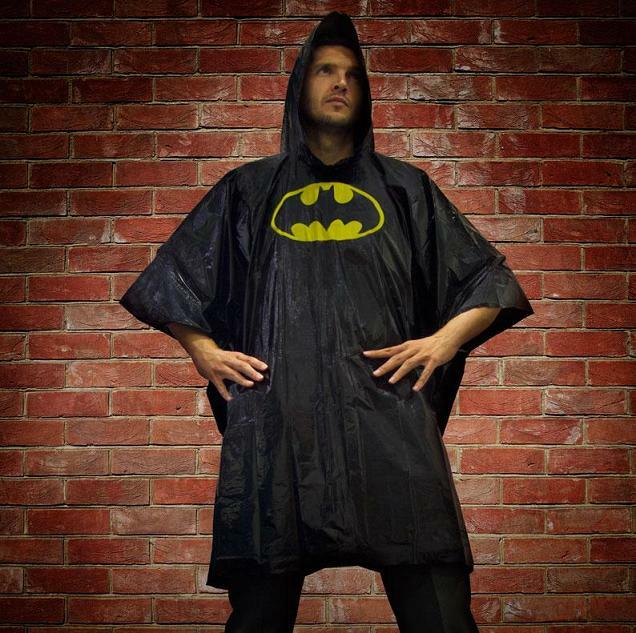 Batman Poncho: Why opt for any poncho when you can get Batman Poncho? Its lightweight, waterproof with a hoodie, has a Bat symbol across the chest and perfect for those days when you need to think twice about venturing out. Buy Now. 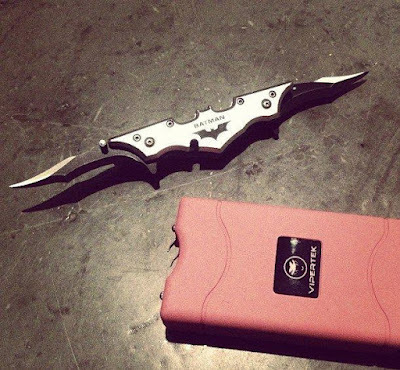 Batman Batarang Folding Knife: The Batman Batarang Folding Knife when folded gets the shape of Batman's batarang. 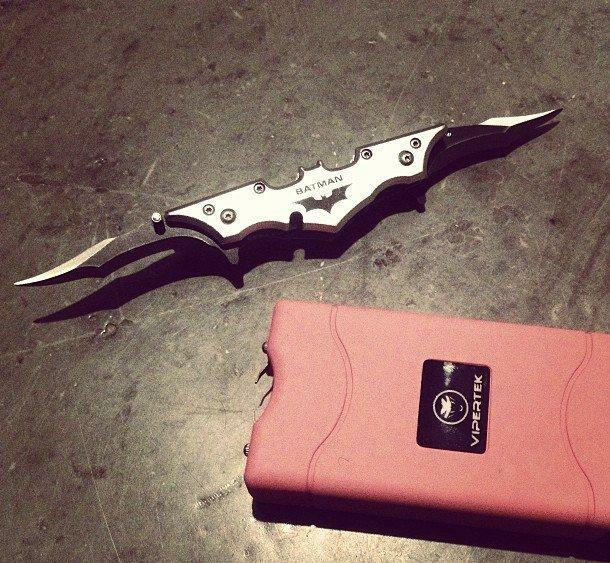 It comes with twin razor sharp stainless 440 blades, ABS lock, belt clip, and Batman symbol. It measures 5-3/4" when blades are closed, and 11" when blades are open. It looks cool, but it's our advice to use this carefully, as there are many more cool Batman Themed products that you can opt for. Buy Now. 15 Coolest Batman Inspired Products and Designs - Part 2.